As Minister of Canadian Heritage and Multiculturalism, I am pleased to present the 2019–2020 Departmental Plan for the Canadian Radio-television and Telecommunications Commission (CRTC). The organizations in the Canadian Heritage Portfolio, including the CRTC, carry out their mandate—in fields that include arts, culture, heritage and communications—so that all Canadians can have access to content that is both relevant and of high quality. They integrate innovation, creativity and inclusion into everything they do, and are helping build a dynamic society that is open to diversity. All of this takes place in accordance with the Official Languages Act, whose 50th anniversary we are celebrating in 2019. To this end, the CRTC will continue to ensure it regulates broadcasting and telecommunications in the public interest so that Canadians have access to a world-class communications system. In the coming year, the CRTC will launch a proceeding to renew the radio and television licences of CBC/Radio-Canada. The CRTC will also review its Indigenous broadcasting policy to ensure it reflects the interests and demographics of Canada’s Indigenous populations. It will also review how broadcasters report on their investments in Canadian programming and how they contribute to gender equality, diversity and inclusiveness. The priorities presented in this report will be central to the activities of the Canadian Radio-television and Telecommunications Commission in 2019–2020. I invite you to read further to discover what the CRTC intends to achieve, within the Canadian Heritage Portfolio, to meet the objectives of the Government of Canada and serve the best interests of Canadians. On behalf of the Canadian Radio-television and Telecommunications Commission (CRTC), I am pleased to present the 2019-2020 Departmental Plan. On the heels of the CRTC’s 50th anniversary, we look forward to seeing the technological advances the next five decades will bring to the communications landscape. This plan outlines the main activities the CRTC will pursue in the year ahead to ensure Canadians have access to a world-class communications system. The CRTC will issue a first call for applications for its new $750-million Broadband Fund. The fund will support projects to improve access to broadband Internet services in rural and remote areas across the country. By 2021, 90% of Canadians should have access to fixed broadband services that offer speeds of at least 50 megabits per second for download and 10 megabits per second for upload, as well as an unlimited data option. The CRTC will also initiate a comprehensive review of mobile wireless services to ensure Canadians benefit from a robust competitive market. Among other things, the CRTC will examine whether further action is needed to improve the choice and affordability of mobile wireless services. In the coming year, the CRTC will explore regulatory solutions to some of the issues raised in the inquiry into aggressive or misleading telecom sales practices. We will also issue a decision where we will consider establishing a new code of conduct for Internet service providers, which would address consumer contracts and related issues, including bill shock, contract clarity and barriers to switching service providers. To ensure Canadians are protected from rogue or misleading calls during the federal election, the CRTC will promote compliance with the Voter Contact Registry. In addition, we will ensure that telecommunications service providers either implement a system to block calls within their networks or offer their subscribers call-filtering services by the end of 2019. These measures will provide Canadians with an added level of protection from unsolicited and illegitimate calls. Finally, the CRTC will continue to promote innovation and competition in the communications industry, and provide Canadians with opportunities to share their views as part of our public consultations. The CRTC’s operating context is the global communications landscape, which is subject to continual, rapid technological advancement. Canadians have grown dependent on high-quality broadband Internet access service for everything from civic participation to the creation and consumption of audio-visual content – a fundamental transformation to the context of the communications legislation that the CRTC enforces. As a result, in 2018, the Government of Canada announced a review of the Telecommunications Act (1993) and the Broadcasting Act (1991), with an expert review panel to deliver a final report to the Government by 31 January 2020. It is expected that any new communications legislation that may result from the Government’s review will seek to ensure that Canadians continue to benefit from an open and innovative Internet and, at the same time, ensure the future of Canadian media and Canadian content creation. It could also change the role of the CRTC. The CRTC’s total planned spending in 2019-20 is $74,139,200 and its total number of planned full-time equivalents is 527. 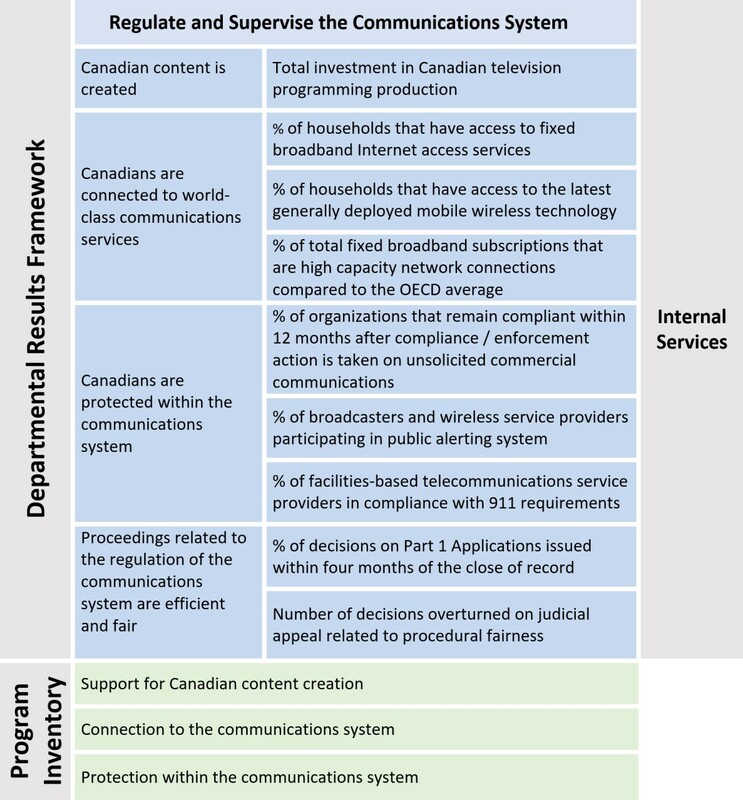 All of the key results that the CRTC plans to deliver in 2019-20 under its single Core Responsibility are in support of one or more of its three main policy-related Departmental Results (which serve as the headings for the sub-sections below). In support of all three, the CRTC will also publish a series of Communications Monitoring Reports, compiled from the data it collects from a wide variety of sources, and continue to work with international partners and academics to monitor trends and best practices and help ensure that the CRTC remains an effective regulator of Canada’s world-class communications system. CBC/Radio-Canada licence renewal: The CRTC will initiate a process, including a public hearing, to renew the licences of the radio and TV stations owned by CBC/Radio-Canada. The terms of these licences will set the course of the national public broadcaster for the years to follow and position it to best contribute to Canada’s broadcasting policy objectives. Commercial radio policy review: The CRTC will launch a process to modernize its regulatory framework for radio. The existing framework includes policies on diversity of ownership, Canadian content levels, local news, French vocal music requirements, Canadian content development and group-based licensing. A modernized framework will seek to position the radio market to best contribute to Canada’s broadcasting policy objectives. In 2018, the Government of Canada launched a review of Canada’s legislative framework for communications, including the Broadcasting Act. The CRTC could help pave the way for the future of broadcasting by reviewing support for TV news production and the existing regulatory approach to “broadcasting distribution undertakings” (BDU)Footnote 1, taking into account “online BDUs”Footnote 2, as proposed in “Harnessing Change,” the CRTC’s 2018 report to the Government on the future of programming distribution in Canada. Indigenous broadcasting policy review: The CRTC will launch a review to ensure that its Indigenous broadcasting policy framework is effective and reflects the realities of radio stations serving Indigenous peoples. As such, a renewed framework should contribute to diversity and inclusiveness by helping ensure that Canadian broadcasting is properly reflective of the cultures, languages, and perspectives of Indigenous peoples across Canada. “Canadian programming expenditures” (CPE) review: As also proposed in “Harnessing Change,” the CRTC will launch a new proceeding to update the definition of CPE in light of the digital environment. 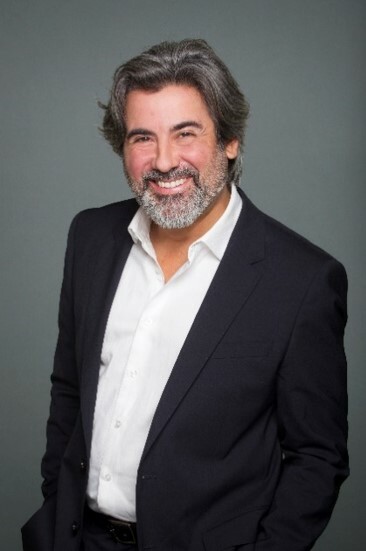 The updated definition will ensure that broadcasters are effectively supporting the production of Canadian content, while also enabling the CRTC to track how these expenditures contribute to gender equality, diversity and inclusiveness in Canada (for example, by monitoring metrics related to women in key creative positions and to productions made by and for Indigenous groups). Developing a digital system for monitoring compliance in the radio market, which will also improve business processes and data analytics. This system will be accompanied by a database available to the public. In 2019-20, the CRTC will help ensure Canadians are connected to world-class communications services, most notably by making the first call for applications to the new CRTC fund offering $750 million over five years in support of broadband infrastructure development. This funding will help ensure that Canadians, particularly those in rural and remote areas of Canada, can access affordable, high-quality fixed and mobile broadband Internet access services. The CRTC expects that fixed services meeting the CRTC’s criteria for “high-quality”Footnote 3 will be available to 90% of Canadian premises by the end of 2021, and to the remaining 10% of Canadian premises by 2031Footnote 4. “Aggregated”: The CRTC will establish final rates for aggregated wholesale HSA services (notably, broadband Internet) for all large cable and telephone companies in Canada. These determinations will seek to ensure that, ultimately, Canadian consumers have improved access to innovative telecom services at reasonable prices. Price cap and local forbearance regimes: The CRTC will issue determinations further to its review of some elements of these regimes. Its determinations will seek to ensure that any ongoing regulatory measures continue to protect the interests of Canadian consumers in smaller telecommunication service markets, where competition among providers is more limited than in densely populated areas. Mobile wireless services: As indicated in two of its decisions in 2018 (on wholesale mobile wireless roaming and lower-cost data-only plans for mobile wireless services), the CRTC will review the regulatory framework for the mobile wireless market (to be launched in 2018-19) to determine how the CRTC can further improve competition, reduce barriers to entry, and address any concerns about affordability and service adoption in this market. Rate setting for wholesale services: The CRTC will review its approach to setting the rates for wholesale telecommunications services. A revised approach will establish a more transparent and efficient rate-setting process while seeking to ensure that wholesale rates continue to be just and reasonable. The CRTC will consider a new quality standard for the accuracy of closed captioning for live English-language TV programming. This standard is proposed by a working group of broadcasters and captioning users and companies who piloted the standard over a two-year trial period. The CRTC will review the regulatory framework for Video Relay Service, a telecommunications service that enables people with hearing or speech disabilities who use sign language to communicate with voice telephone users as well as other sign-language users. The CRTC will also continue working with stakeholders to launch a second phase in the measurement and collection of accurate data on broadband delivery and performance across Canada. This data, made public, will help Internet service providers improve their networks to better serve Canadian consumers. Aggressive or misleading telecom sales practices: On February 20, 2019, the CRTC delivered a report to the Government, as requested, on the retail sales practices of Canada’s large telecommunications carriers. It is expected that follow-up proceedings in 2019-20 will seek regulatory solutions to some of the issues raised in the consultation process leading to the report. Internet Code of Conduct: The CRTC will continue its public consultations to establish a mandatory code of conduct for Internet service providers. This Code will seek to help resolve consumers’ problems with bill shock, barriers to switching service providers, and contract clarity. Unsolicited Telecommunications Rules (UTR): The CRTC will continue to promote and enforce the UTR by such means as the National Do Not Call List (DNCL) Rules (which protect Canadians against unwanted telemarketing calls) and measures to build trust in caller identification functions. Voter Contact Registry (VCR): Under the VCR, the CRTC will continue to help protect Canadians from rogue or misleading calls during federal elections and by-elections, including the federal election that is scheduled to take place by October 2019. Next-generation 9-1-1 (NG9-1-1) services: Once fully implemented, NG9-1-1 will give Canadians access to innovative emergency services that meet the evolving expectations of Canadians and technologically advanced standards. In 2019-20, the CRTC will continue to oversee implementation of its regulatory and policy framework for NG9-1-1 services in Canada, including implementation trials in 2019. Public emergency alerting: The CRTC will monitor the participation of Canadian broadcasters and wireless service providers in the National Public Alerting System (NPAS). This participation ensures that Canadians receive emergency alert messages at times of imminent or unfolding hazards to life, giving them the information they need to make informed decisions. Canada’s Anti-Spam Law (CASL): The CRTC will continue to promote, enforce, monitor compliance with, and investigate and respond to non-compliance with CASL, including, as necessary, the imposition of administrative monetary penalties (AMPs). These ongoing activities will help reduce the harmful effects of email spam and related threats to create a safer and more secure online marketplace for Canadians. Some columns in the planned results table below are blank because the departmental result indicators are new and the CRTC will start reporting data on these indicators in the 2018‑19 Departmental Results Report. Financial, human resources and performance information for the CRTC’s Program Inventory is available in the GC InfoBase. Transformation into an organization that is “digital by design”, where employees have the tools they need to work anywhere, anytime, and where internal and external business processes and applications make the most of technology and user-centred design, while also ensuring privacy and security. Implementation of the Government of Canada Financial and Materiel Management (GCFM) Solution, which will streamline and automate the CRTC’s routine internal services. This Solution is part of the government-wide Financial Management Transformation, which contributes to achieving the objectives of open and transparent government and better services for Canadians. The CRTC will also prepare to implement its responsibilities under the new Accessible Canada Act, which is expected to receive Royal Assent in 2019. Finally, the CRTC will take new steps to ensure a healthy and respectful work environment (a priority of the Clerk of the Privy Council). These steps will include the establishment of an ombud-type function, in collaboration with partner organizations; the development of an internal mini-survey to more fully understand workplace trends and the root causes of workplace issues; and training and awareness sessions on harassment, unconscious bias and informal conflict management. For fiscal year 2019-20, the CRTC plans to spend $74.1 million to meet the expected results of its program activities. 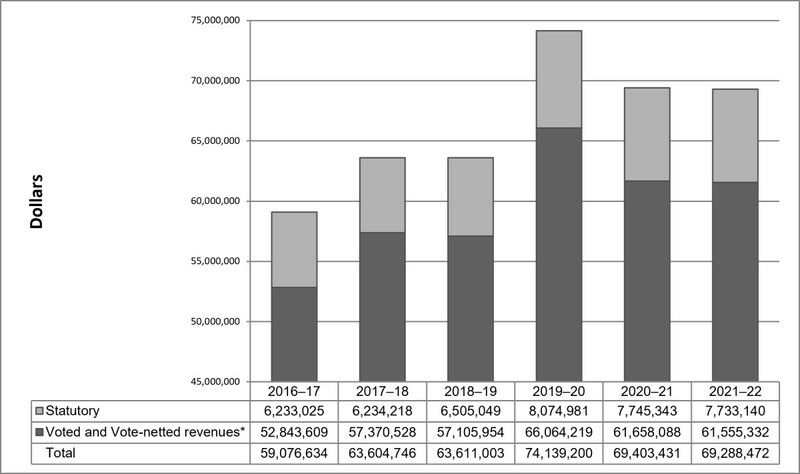 The graph below illustrates the CRTC’s spending trend from 2016-17 to 2021-22. * Voted expenditures include revenues netted against expenditures (vote-netted revenues). Expenditures for fiscal years 2016-17 and 2017-18 are from the Public Accounts of Canada. The 2018-19 gross forecast expenditures is similar to the 2017-18 gross actual expenditures. Nonetheless, an increase in revenues contributed to the decrease in the net forecast expenditures. The planned spending for the fiscal years 2019-20 to 2021-22 corresponds to the Main Estimates. The increase in spending, in comparison to 2018-19, is explained by the implementation of the Broadband Fund regime that will result in an increase in the CRTC’s activities. At this time, there are no incremental amounts approved above the Main Estimates levels. 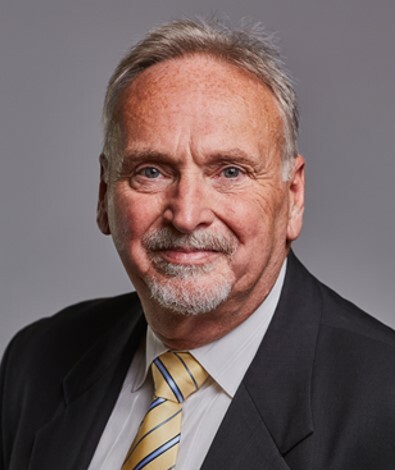 Supplementary funding for items such as salary adjustments for new collective agreements and carry-forward adjustments are unknown at this time and therefore, not reflected. The CRTC bills and collects fees from the industries under the authority of the Broadcasting Act and the Telecommunications Act and the regulations made pursuant to these acts, namely the Broadcasting Licence Fee Regulations, the Telecommunications Fee Regulations and the Unsolicited Telecommunications Fees Regulations. The CRTC is then authorized to apply these revenues toward costs incurred for corresponding regulatory activities. The increase of 15 full-time equivalents forecasted in 2018-19, when compared to 2017-18 actual full-time equivalents, is mainly attributable to hiring in regards to the implementation of the Broadband Fund regime. Information on the CRTC’s organizational appropriations is available in the 2019–20 Main Estimates. The Future‑Oriented Condensed Statement of Operations provides a general overview of the CRTC’s operations. The forecast of financial information on expenses and revenues is prepared on an accrual accounting basis to strengthen accountability and to improve transparency and financial management. The forecast and planned spending amounts presented in other sections of the Departmental Plan are prepared on an expenditure basis; as a result, amounts may differ. A more detailed Future‑Oriented Statement of Operations and associated notes, including a reconciliation of the net cost of operations to the requested authorities, are available on the CRTC’s website. The difference in expenses of approximately $13.2 million (18.5%) in 2019-20 versus 2018-19 is primarily attributable to the implementation of the broadband funding regime, which will result in an increase in the CRTC’s activities. An Act to promote the efficiency and adaptability of the Canadian economy by regulating certain activities that discourage reliance on electronic means of carrying out commercial activities, and to amend the Canadian Radio-television and Telecommunications Commission Act, the Competition Act, the Personal Information Protection and Electronic Documents Act, and the Telecommunications Act, referred to as “Canada’s anti-spam legislation” or “CASL” in this document. “Raison d’être, mandate and role: who we are and what we do” is available on the CRTC’s website. The CRTC’s Departmental Results Framework and Program Inventory of record for 2019–20 are shown below. Supporting information on planned expenditures, human resources, and results related to the CRTC’s Program Inventory is available in the GC InfoBase. The CRTC defines BDUs as aggregators of channels and content which distribute their service through a closed network (e.g. cable channels, satellite transponders). BDU service is designed for use on the TV set and is authenticated with a set-top box. Online BDUs aggregate channels and content but authentication is at the software layer (e.g. app, Web browser) and distribution is over the Internet. The CRTC’s criteria for high-quality fixed broadband Internet access service are the availability of (a) speeds of at least 50 megabits per second (Mbps) download and 10 Mbps upload, and (b) a service offering with an unlimited data allowance. The target date for this Departmental Result Indicator found in the CRTC’s Departmental Results Framework is 2036. The CRTC will take measures in 2019-20 to formally amend this indicator to 2031.